I toured the recently opened 9/11 Museum last night. There is quite a bit to report. The size and scale of the building and many sections are actually impressive. One can see how the general public will be very taken by the entire presentation, and therefore, take what they see as truth. However, if the original intent of the museum was to pay homage to those who perished, the exhibits are far off the mark. Instead, the creators have co-opted the tragedy to substantiate the official narrative. 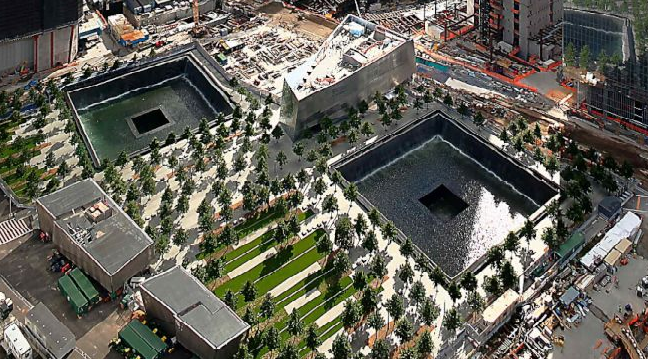 The museum just solidifies the shock & awe of the events of 9/11, and gives the public a visual and auditory experience that will be firmly etched in their memory far into the future. There are exhibits on each of the towers. There are photos of their original construction. There were sections of steel columns, elevator parts, and parts of the foundation. There were displays of personal items of those who perished. There were many audio recordings with slide shows being projected of pictures of victims, survivors, and onlookers in a state of terror. There are film clips, and transcripts of conversations from that day. There is an ambulance and a fire truck, which show the damage from the debris. There are videos of the towers on fire. There are even photos of people jumping. Then there are even large videos of the demolition of each tower. 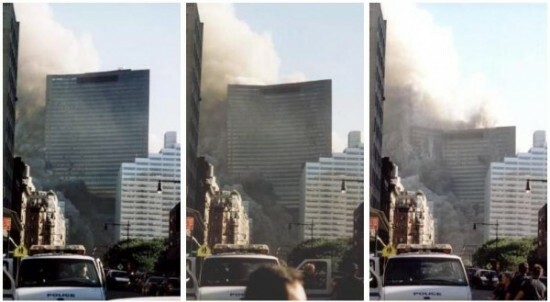 But by the time people view these, they’ve been thoroughly distracted and emotionally overcome by the magnitude of the horror people experienced that day, so they cannot recognize the implications of the disintegration and free-fall of 110 stories of steel-framed structures. There is a section on Osama Bin Laden, the alleged hijackers, Kaleed Sheikh Mohammed, and Al Qaeda. There were two film clips of hijackers passing through the airports. However, the one from Dulles has no time stamp and I think the only other one is actually taken from Portland, ME, not Logan Airport. Nevertheless, people viewing this display were shown exactly who the official narrative wants the blame to be attributed to. To my surprise, there was even a small section on the public’s questioning of the events. This included photos of people calling for investigations, protestors claiming 9/11 was an inside job, and the cover of Popular Mechanics which supposedly debunked all those “conspiracy theories”. At least the museum planners can attempt to say they were thorough in addressing all of the “focus groups”. But this small section did nothing to go into the broad scope of alternative research based on science and journalistic analysis. If only they had a copy of “The New Pearl Harbor” by David Ray Griffin next to a copy of “Rebuilding America’s Defenses“. Then, of course, there were quilts, photos, and artifacts that good hearted Americans created in tribute to those who suffered and died. There were photos and statements about how we all came together and rose above the tragedy because we’re resilient and won’t be defeated. After all, we have to keep up our “American exceptionalism”. The framers of the official account took an unspeakable tragedy and turned it into a cause for patriotism. There was a digital presentation showing the flight paths. There where photos of Shanksville and the Pentagon. But by now you may be noticing there’s a glaring omission to this report. There is nothing on WTC7! I still can’t believe it when the museum covers so much of everything else. 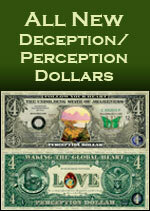 The alternative flyer by Architects & Engineers for 9/11 Truth is an essential educational tool. 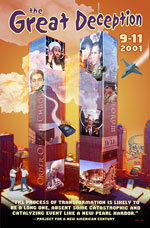 The cover looks similar to the official pamphlet, except it says “9/11 Reality: Welcome to the other story about 9/11.” This is the Visitor Guide For Truth Seekers. With the thousands of people visiting the 9/11 Memorial and 9/11 Museum daily, distributing these flyers is a huge opportunity to open the eyes of the public. This is our chance to counter the deliberate distortion of history. I urge us all to meet the challenge.